3D Printer buying. After learning all of the capabilities a 3D printer has to offer, you may have decided to buy one too. Whether you are seeking to use it in you office or for personal use, owning a 3D printer can definitely help you to cost effectively create a great number of ideas and projects. Identify your needs. Ask yourself why you need to own a 3Dprinter in the first place, before making the actual purchase. 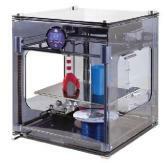 After which, you will be able to decide which 3D printer model can best suit your needs. Assess your needs. If your company does not create more than two scale models every month, it may be wiser to outsource your scale model project to a service provider. than spend on a 3D printer that will not be as useful, as it is and will only gather dust in your stockroom most of the time. Assess available models. If the company will really need and benefit from owning a 3D printer, consider more than a few models and examine closely and compare their features. Not all 3D printers are created equal, that is, with the same features and quality materials. Since your company is making a long-term investment, stick to the one that will surely meet your needs. Assess project sensitivity. If your company is bound to a confidentiality clause with your projects' contracts, then, it is wise and advantageous to get your own 3D printer. Even if your service provider signs a non-disclosure clause upon contract, outsourcing your project can jeopardize the confidentiality clause you have with your client. Assess the machine. Before making the actual purchase, ask for a demonstration of how the 3D printer works, from start to finish. Doing so will give you a better look at the machine, its features and processes, and based on your observations, you will be able to see more clearly how the machine can best suit your needs. If possible, as the dealer to let you operate the machine on your own. Assess the after-sales support. This is imperative. Being a high-end machine, 3D printers are very sensitive, so you definitely should know what after-sales customer support (and care) the dealer/manufacturer will provide. Do not ever hesitate to ask about (and get in writing) an after-sales support agreement, before you decide to buy your 3D printer. It is also wise to ask about prospective maintenance costs: the cost of materials used with the printer, along with routine, future-intended replacement parts. These steps to buying 3D printer buying will save you much time, energy, and frustration in the long run, but can save you the heartache of an inferior and/or unserviceable machine, hence, money lost. Considering these factors carefully, make your investment decision wisely, as you contemplate 3D printer buying.